Thailand’s capital is a mixing pot filled with opulent malls and sacred temples. However, it can be argued that the vibrant street life is what makes Bangkok stand out from every city. Weave your way through the Chao Phraya river, and in every corner you will find that Bangkok’s streets are filled with food. Explore the food that makes Bangkok so special with our cooking classes that will teach you how to make authentic Thai food. Most of our classes start off with a local market visit where you will have the opportunity to pick out fresh ingredients to use in your cooking. Some of our cooking classes even involve you visiting a local farm and picking out organic ingredients there. We also offer classes with vegan options! Whatever cooking class you choose, you are sure to finish the class with a smile and will have acquired Thai cooking skills to take back home. "Dream come true cooking class - in Thailand"
Superb insight into Thai quisine, culture and cooking. From beginning to end a professional outfit delivering top quality instruction, food and memories - I can't wait to put the knowledge learned here into practice at home. When looking around at which course to choose there are hundreds to choose from so we picked one based on the menu that contained the foods we've been enjoying the most whilst we've been in Thailand: Paneng and Pad Thai - we also got two extra dishes of Papaya salad and a banana desert. We found our way to the meeting point where we were met by a friendly member of the Sompong team who greeted me by name and safely loaded us and the rest of the group into his SUV for the two minute ride around the corner to the cookery school. Upon arrival the professionalism continued; we were provided with sandles to wear in the kitchen, an apron, cloth to wipe our hands, a cook-booklet and a bottle of water. We then had a full briefing on the session and layout of the class, from the most enthusiastic and friendly assistant. She then proceeded onto the initial content of the session. As we were the afternoon group the morning market was over so we were given a show and tell presentation on a range of typically Thai ingredients that we might come to use. This was brilliant for me and gave a real insight into the pallette of scents and flavours used in all of the dishes I've eaten in my travels. We were then given some great instruction in four fantastic Thai dishes (I shall omit the detail - you can learn for yourself when you visit) The kitchen was staffed with a team of assistants to seamlessly transfer between dishes and stages. The assistants helped remind us of timings when it was our turn to imitate. The final spread was something to behold (see pictures) and was super filling. We took away a supper in boxes to enjoy once we're able to eat some more! So much fun learning about thai ingredients and how they contribute to those signature delicious thai flavors! I recommend anyone who visits Bangkok and likes to eat, to take this class! Just a small piece of advice (as I know I would tell my parents this) some things are done on the floor, so if you have problems getting up and down, I'd suggest just letting them know. I'm beyond positive they will accommodate you, but just a heads up :) Such wonderful, knowledgeable, funny people! Chef Aye is so friendly, brings a world of Knowledge and is fun! She makes the experience personable and engaging. Definitely don't miss out! "Great Class - Fun & Informative"
This was my first Thai Cooking Class... and what fun we had. Started out with a market tour which was very informative on which ingredients to buy and what were some of the different vegetables that I had not seen before. Then it was off to cook... Chef was informative and fun. Mixing proper lesson with history of Thai food and cooking. Would def come back again with visitors. "Great experience! Don't miss out!" The class began on a tour of a local market whereby we learned how to buy Thai ingredients. We cooked 4 courses throughout the class and the instructor had a great sense of humour and was very passionate about her students and the students' learning. "Fun whistlestop tour through Thai flavours"
I’m so glad I chose this cooking class from Cookly. We were picked up by the instructor and her husband from the bearing BTS station right on time. They asked us if we wanted to go to the morning market as it was optional and we definitely wanted to go! They brought us around to show us where the local Thai people shopped; the veggie, seafood, meat sections. We really enjoyed it. Next stop was her humble abode! It was very cute place and very inviting! We both got to do 4 dishes each which was honestly a bit too much food. We brought back more than 1/2 back to our Airbnb. We made, pad Thai with shrimp, stir fried flat noodles with pork ( the pork was so flavorful! She said she marinated overnight for us), shrimp with glass noodle salad with pork, panang curry with shrimp, basil pork and Tom yum soup with shrimp. We legit made the curry from scratch using a mortar and pestle to crush the cumin, coriander and white pepper corns and red chili. All in all, I honestly highly recommend it. It’s a very fun activity with your loved one and the instructor was amazing. We’ve done cooking classes in Vietnam as well and this one was so much more personal. I would recommend it to anyone who comes to Bangkok! It was just amazing! We had a lovely time, and it was just me and my friend. The Chef was super nice and went out of her way to send us back to the station. The recipe is fun to cook with, and very yummy! Very interesting and professional service! The price is very reasonable too! Definitely, recommend and thank you again for sharing Thai cuisine with us! "Loved the class and the whole process of it. 5 stars"
This was truly enjoyable. Our hostess/chef was so enthusiastic and gave us a thorough tour of shopping for ingredients and the cooking process. We had four dishes to prepare and were completely satisfied by the 3rd and 4th, but we got to take home the "extras" which we enjoyed later on. I have been to Bangkok many, many times and cook Thai food regularly at home, but I had never done a cookery class until this week - I am so pleased I chose to do this one! It was very friendly, 100% professionally run, and all set in such colourfully inspiring surroundings. I felt like I had learned a lot from just one class and will definitely sign up to do another next time I'm in Bangkok. Big thanks go to our smiley teacher, Runt - I really couldn't recommend Silom Thai more highly! My husband and I spent a fantastic time at The Market Experience learning how to cook authentic Thai food with a modern twist. The class started with the instructor, Alyssa, taking us around the flower market and giving us lots of information on the various ingredients. We then learn how to make Mieng Kam, Som Tum, pad Thai and red curry. Honestly, I didn’t realise it was so easy to make these dishes! The location is really convenient, taking the BTS and the ferry down the river which takes you straight to the flower market. Highly recommended! A must do cooking class, well organized, clean, super enjoyable, tasty food and great hints on preparing and cooking at home. We also received a cookbook to take home. We were taught to make 4 dishes and had prepared them together, each cooking your own dish, then eating together. Total of 12pax in our group divided up in groups of 4 and shared fun and laughter. If a slouch like me could make an amazing meal, so can you! I went solo and really had a great time, exploring a fantastic market, learning how to choose the best ingredients, and how to prepare each of the four dishes. The instructor was enthusiastic and kept things light and moving forward at a comfortable pace. Highly recommended as an essential Bangkok experience! We had a nice quick tour of the marketplace where we got to familiarise ourselves with the ingredients that we would be using. The actual groceries were prepared for us so we didn’t waste any time buying the necessary ingredients. We then headed to the kitchens where we spent the next 4 hours making 5 incredibly delicious dishes of pad thai, tom yum, chicken larb, green curry, and mango sticky rice. We got to chop and prepare each meal's ingredients and then cook them over a wok before sitting down to eat our creations fresh and hot. The chef was amazing! The food was so authentic tasting and we each got a recipe book to take home at the end. Just be wary that the kitchen does get a bit crowded and hot and spicy when there are 10 woks frying off all at once in a small confined area! The chef is so nice and makes the class really warm and welcoming, and the food was phenomenal!!! Also very accommodating, our class had one vegetarian, and people who didn't like spicy, we could customize the recipes to our preference. I had such a great time, it truly was my favorite thing I did on my trip to Thailand. If I ever find myself in Bangkok again, I will definitely be coming back. I would highly recommend this class!! "Thai food, culture and fun!!!" This was the third class I have done, as I do one whenever visiting my son in Bangkok. Not only is it a wonderful learning experience with a fabulous teacher and her support team, it is also a lot of fun. 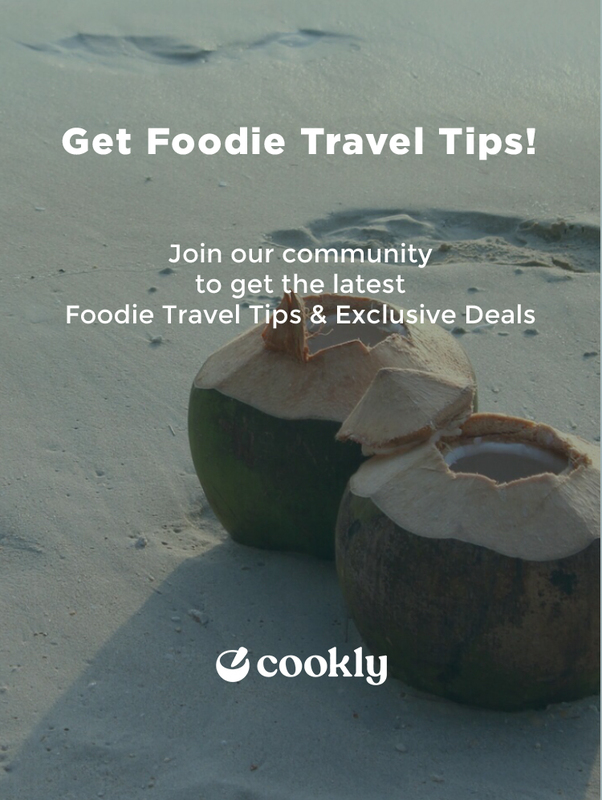 The food you cook is amazing and easily duplicated once you are home, plus you learn tips to cook like a chef and learn about Thai culture. I will continue to take classes during future trips here. Thanks for a super fun time, once again. I highly recommend it.